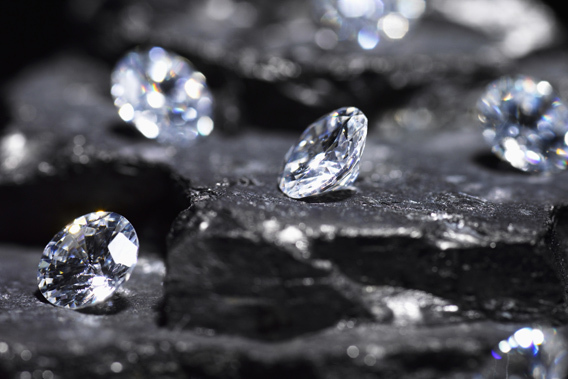 A diamond is just a piece of coal that did well under pressure! Remember the story of Roja? The way the Indian scientist is subjected to all kinds of torture-mental as well as physical, the way he fights in his own way to rescue the Indian Flag, the way he rescues an innocent girl being tortured, and the way he mentors even the most hardened terrorist-is what eventually leads to his release! What I mean is there is no gain without pain. No treasure without pressure. I remember how I invested in a SIP of Reliance Small Cap Fund – from inception – Sept 2010. The NAV which started from Rs 10 went up to 10.56 in Nov 2010 but from thereon, headed downwards and more downwards-in Dec 2011, my SIP installment was invested at Rs 7.64-post that the NAV even reached 6.98. Imagine the agony, angst and pressure I would have felt! But I did not close my SIP-in fact I added 25000 in Dec 2011 when the NAV was at rock bottom! Fortunately, the NAV rose to 11.02 by Dec 2012-only to fall back to 8.65 in Sept 2013! My SIP ended in Sept 2013. Till then, I had invested a total of 150000 and accumulated 16152.69 units and the NAV then was 8.65-which meant my fund value was just under 140000. After 3 long years of meticulously investing in a SIP, what I got was a negative return. Like most investors who don’t like to see any negative returns in their portfolio, if I had liquidated my units, not only would I have made a real loss, but also would have lost on the opportunity cost-after all a RD for 3 years could have generated a corpus of around 1.6 lakhs with the same investment! But, I held on and on and on. Finally the tide turned-NAV went above par, then to 11, 12 and so on –before the current rally, the NAV had already crossed 13, while my average purchase NAV was 9.29. Do you know the NAV today? 16.43 ! And the investment is worth 2.65 lakhs-much more than any RD, Gold scheme, or any other scheme! I am not specifically recommending this scheme, but wish to drive home the point that if you can withstand momentary pressure, persevere with your investment keeping the end objective in mind and not bother about the daily NAV, what you get is a diamond instead of a coal that you could have got, if you had wilted under pressure! Dear investor, irrespective of the scheme, if you maintain your investment levels, keeping the goal in mind, I believe there is no power which can stop you from achieving the goal. After all, Neil Armstrong would never have reached the moon, Tenzing Norgay could never have conquered the Everest , if they kept on looking at the fuel level of the spaceship or the oxygen level of the cylinder! And Arjun, the best archer in the world could not have hit the parrot’s eye, had he looked at the surroundings and not focused on the eye of the parrot! The Best method of beating inflation remains Equity. Yes, it may give you short term shocks, but if you turn a blind eye and keep on investing regularly, you would be surprised at what Equities could actually yield! After all if the Sensex can go from 100 in 1979 to 24000 in 2014- 240 times in 35 years, which is faster than the rise in price of Bananas from Rs 2/doz to 40/doz during the same period or eggs which rose from Rs 3/ doz to 60/doz , imagine where the NAV of a good actively managed Mutual Fund could go over a similar time period? We hold gold for eternity, real estate for atleast 20 years, why not hold Equity for 10/15/20 years and see the result? Like the hero of Roja, Equity eventually comes out triumphant-after all , A diamond is just a piece of coal that did well under pressure!